​Queensland is the second-largest state in the Commonwealth of Australia. Queensland is bordered by the Coral Sea and Pacific Ocean. Its capital is Brisbane, referred to as the "Sunshine State”. It was first inhabited by Aboriginal Australians and Torres Strait Islanders.The first European to land in Queensland (and Australia) was Dutch navigator Willem Janszoon in 1606. In 1770, Lieutenant James Cook claimed the east coast of Australia for the Kingdom of Great Britain. The colony of New South Wales was founded in 1788 by Governor Arthur Phillip at Sydney; the state was named in honour of Queen Victoria. 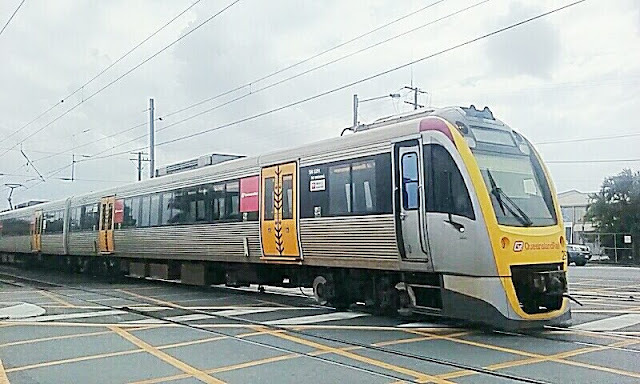 Queensland Rail claims itself to be the best performing railway delivering safe, on time, customer-focused and efficient rail services. It was founded way back in 1865 and now has 216 stations across Queensland​​​. In every workplace, be it an Office, or factory – accidents can occur and employees can be injured. The Law requires that they should be protected. In India, we have Workmen’s Compensation Act 1923, [Employee Compensation Act now] intended to be an beneficial legislation extending to whole of India. It defines workmen to be any person other than a person whose employment is of a casual nature and who is employed otherwise than for the purposes of the employer’s trade or business. Down under, Workers' compensation is a compulsory statutory form of insurance for all employers in every state and territory in Australia and provides protection to workers if they suffer a work-related injury or disease. Any business that employs or hires workers on a full-time, part-time or casual basis, under an oral or written contract of service or apprenticeship, must have workers compensation insurance that covers all workers. Workers Compensation Act 1951 (Australia) – preamble reads that it is an Act relating to compensation to workers for injuries arising out of or in the course of their employment, and for other purposes. Now read this news from abc.net.au on a Queensland Rail employee who was dragged along a railway station platform by a train has had an application for compensation rejected for a fifth time. Kristina Connor's application says that she was injured on May 16, 2013, after she was dragged along a platform after being struck by a train door. According to her claim, Ms Connor was at the rear cab door using her foot to keep the door open when the train took off. She was then hit by the door and pushed off the train, causing her to be dragged alongside. • (b) An aggravation of the following, if the aggravation arises out of, or in the course of, employment and the employment is a significant contributing factor to the aggravation— (i) a personal injury other than a psychiatric or psychological disorder. • (ba) An aggravation of a psychiatric or psychological disorder, if the aggravation arises out of, or in the course of, employment and the employment is the major significant contributing factor to the aggravation. In October 2015, she tried again to have her case reopened with an addition of an injury to her right knee and again it was rejected. In February 2016, QR issued a notice for an assessment of her accepted injuries of which were not a problem anymore. The next month, Ms Connor made a claim for damages including her accepted injuries and the one previously rejected. In the submissions for the case, her lawyer noted her rejected injuries had not been assessed. The defence for QR argued the rejected injuries should stay just that, as ruled in previous cases. Ultimately the judge rule in favour of QR's argument and deemed Ms Connor had no entitlement to damages in relation to the rejected injuries. (1) In this Act: injury means a physical or mental injury (including stress), and includes aggravation, acceleration or recurrence of a pre-existing injury. (2) In this section: mental injury (including stress) does not include a mental injury (including stress) completely or mostly caused by reasonable action taken, or proposed to be taken, by or on behalf of an employer in relation to the transfer, demotion, promotion, performance appraisal, discipline, retrenchment or dismissal of a work. migrated deer in Harlem dies due to stress !! Young GM Eliseev dies trying parkour ! !